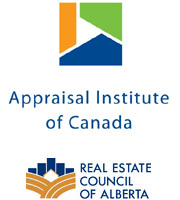 Established in 1986, Tru Appraisals Ltd has been extensively involved in providing professional services to lenders, lawyers, private real estate investors, individual home owners and more. We are a leading provider of commercial, farm and residential appraisals for the Brooks, Drumheller and Medicine Hat areas. Tru Appraisals Ltd is a full service appraisal company. We have earned a great local and regional reputation for reliable appraisals and sound real estate consulting work. We also have branches in both Drumheller and Medicine Hat. We are open from 8 am to 7 pm Monday to Friday.